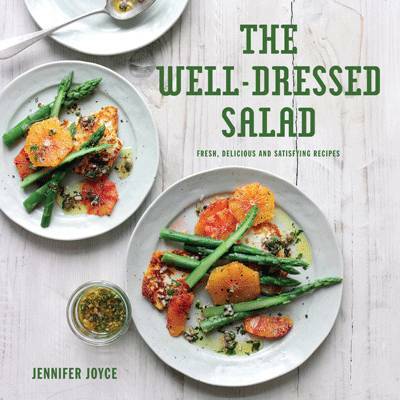 Food writer, stylist and chef Jennifer Joyce follows up her hugely successful cookbook Meals in Heels with the lighter, but equally sophisticated, Skinny Meals in Heels. Not to be mistaken for a mundane diet book, Skinny Meals in Heels is a stylish guide to home cooking in the real world, where mid-week meals with friends and family need to be quick, healthy, satisfying and full of flavour. With glamorous line illustrations and a fresh and sassy design, Skinny Meals in Heels has chapters on everything from snacks and nibbles, to weekday dinners in under an hour and skinny puddings. Containing clear explanations as to why each recipe is 'skinny' and tips on how to save time with your preparation, Skinny Meals in Heels has everything you'll need for home-cooking with style and ease! Key points: a fresh design with a hint of humour; glamorous line illustrations; easy to follow approach with simple recipes; clear explanations as to why each recipe is 'skinny' and how to save time with your preparation. Jennifer Joyce, an American food writer, stylist and chef living long-term in London has written several successful cookbooks for the US and UK markets and is a regular contributor to Olive Magazine, BBC Good Food and the Sainsbury's magazine. She runs weekly cooking classes at London's Divertimenti and Books for Cooks stores, and has appeared in food TV shows in both the UK and the States. She is known for her fresh, simple, quick and easy food with vibrancy and a certain joie de vivre.